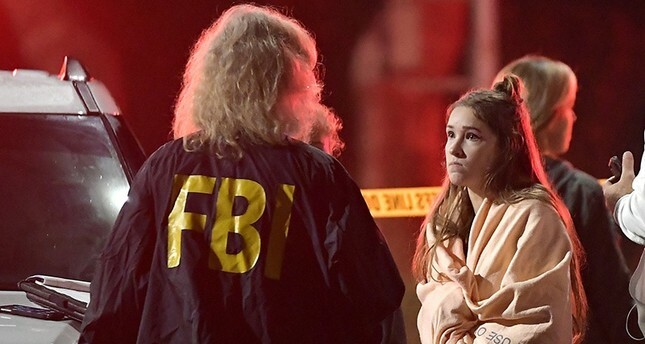 A hooded gunman dressed entirely in black opened fire on a crowd at a country dance bar holding a weekly "college night" in Southern California, killing 12 people and sending hundreds fleeing including some who used barstools to break windows and escape, authorities said Thursday. The gunman — identified as 28-year-old veteran Ian David Long — was later found dead at the scene and is believed to have killed himself late Wednesday at the Borderline Bar and Grill in the city of Thousand Oaks. The dead from the shooting Wednesday night included 11 people inside the bar and a sheriff's sergeant who was the first officer inside the door, Ventura County Sheriff Geoff Dean said. In a briefing later Thursday, Dean said his department had several previous contacts with Long, a former Marine, including a call to his home in April, when deputies found him acting irate and irrationally. The shooter's motive remains unknown. Dean said a .45-caliber Glock handgun was the only weapon used in the shooting. Trump said Thursday on Twitter that he has been "fully briefed on the terrible shooting." He praised law enforcement, saying "Great bravery shown by police" and said, "God bless all of the victims and families of the victims." "It's kind of a good time, we dance and we just socialize," he said. "It's the only place open to people who are under 21."